Accident 31 August 2007. The Twin Otter was being ferried back from Punia (PUN) (Democratic Republic of Congo) to Goma (GOM) in VMC. It was involved in an accident some 8-10 minutes after departure. 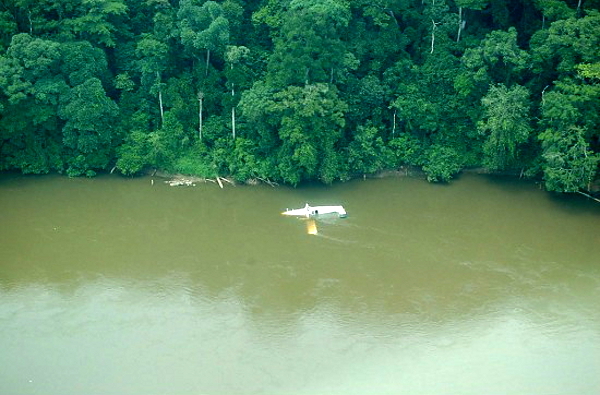 The airplane crash-landed in the Oku River between Punia and Tchamaka. The airplane came to rest inverted in the water and was badly damaged. The aircraft was leased from Solenta Aviation and operated by Air Serv International.